Having a beautiful, creative office can make an employee work effectively, productively and inspired. Instead of being in a square cubicle that feels like a jail where you lock yourself daily making your work days stressful. A workspace should be fun to make you feel motivated to work, It should be unique to so as not to bore you and keep you inspired. Making a workplace fun would make an employee enjoy his/her time during work, lessening stress from work and yet producing good outputs. 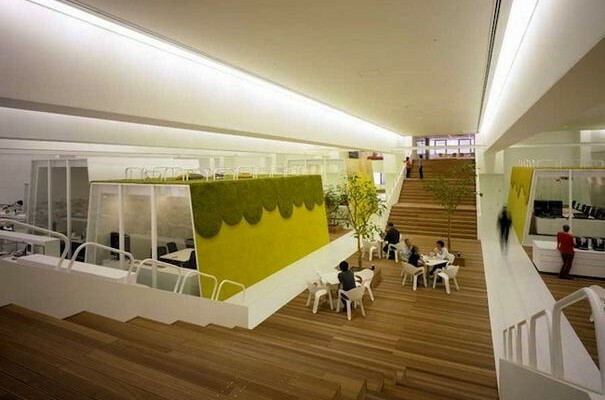 There are several companies around the world with beautiful workspace where anyone would love to work. 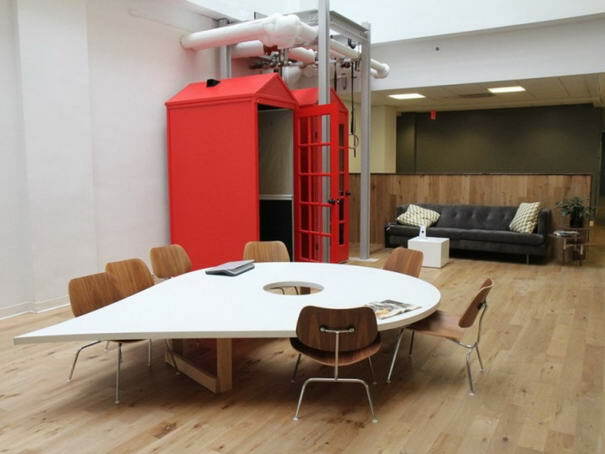 Here are 10 Most Inspiring Workspaces for you to get inspired for designing your own workspace. This amazing workspace is home to Bahnhof AB data centre, and is one of the most astonishing offices in the world. 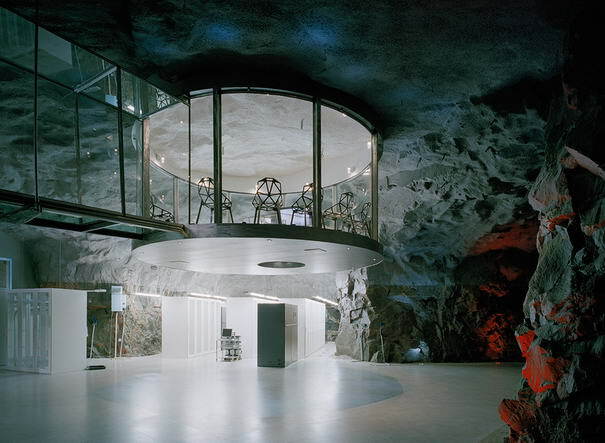 The cavernous space is dug out of rock 100 feet below the streets of Stockholm and was originally designed as a nuclear bunker for shelter during an atomic war. The contemporary refurbishment by Albert France Lanord Architects features futuristic interiors worthy of a Bond villain’s lair, and is an incredibly inspiring environment in which to work. Google’s passion for innovation is also shared by the architect of its corporate base in California. Named as Googleplex, this campus has it all right from colorful open-plan offices, bicycles, meeting and brainstorming rooms, pianos and more. It also features projections of current Google searches. ECHO:DA’s office worked with foursquare’s team to bring about their branding identity to an architectural scale. 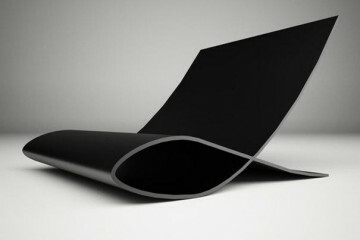 This was achieved by creating a “gallery wall” viewing the entrance area that reflected the check-in identity concept. Also there is a long series of horizontal banded windows that gives the visitor a glimpse of the badge themed conference rooms. 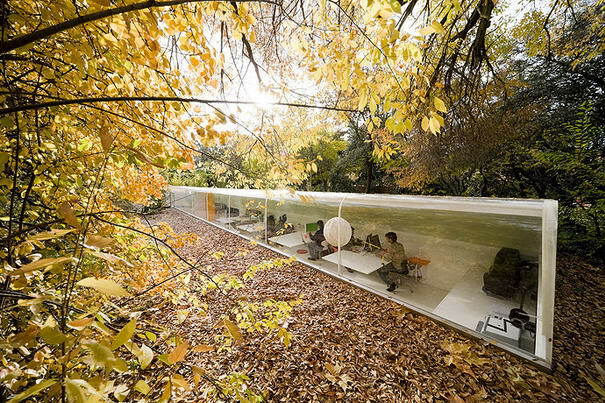 This is the office of the Selgas Cano architects in Madrid. 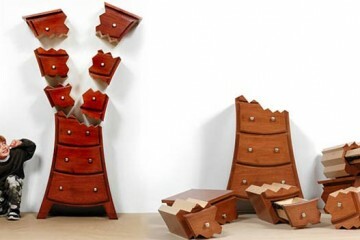 They definitely have a different perspective on their surroundings. Office Selgas Cano architecture is designed by Iwan Baan. Office of the stark contrast with the surrounding forest environment. 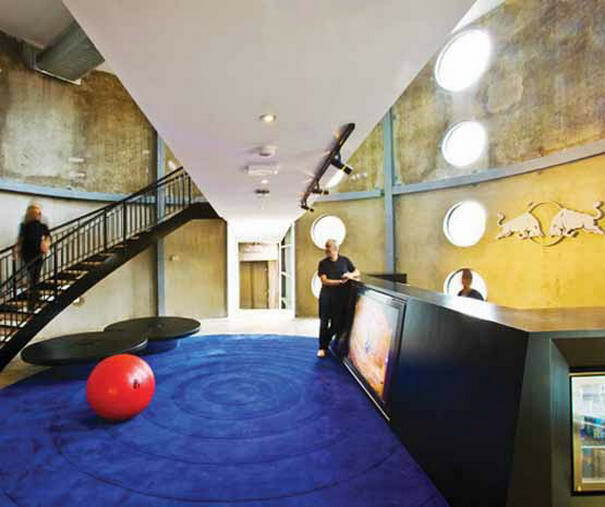 Red Bull has a reputation for innovative and often outlandish design its international headquarters, and Matthew Sheargold was given the job of creating the plans for the company’s offices in Sydney. 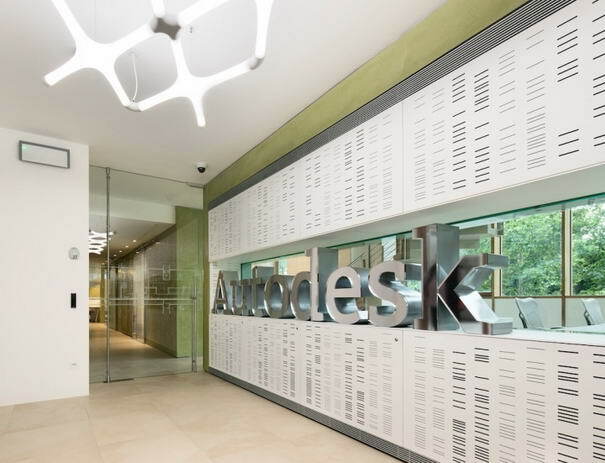 Famous design software company Autodesk asked Goring & Straja Architects to design the interiors of a new office within an existing condominium complex. Companie’s goals for the office were to achieve a high level of sustainability while blending Italian flair with an international spirit. 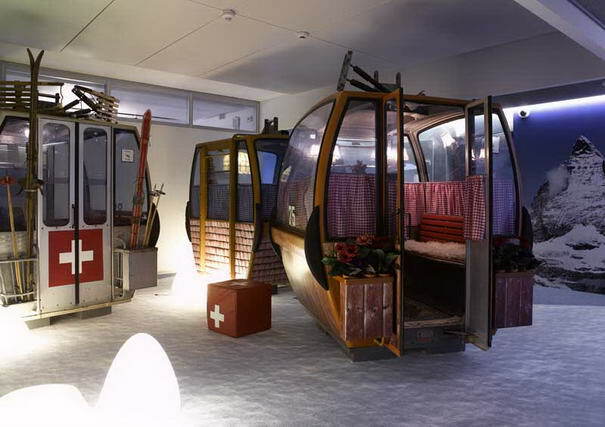 Home to 300 Google engineers, the office features fireman poles for travelling between floors, a slide to reach the cafeteria, and meeting pods and workstations in the forms of Swiss chalets, igloos and cable cars, as seen is this image. Medina Turgul DDB is an advertising agency, founded in Istanbul in 1993. Since its inception the company has grown, and when it became necessary to move into larger offices architects Erginoglu & Calislar were tasked with creating a new office. 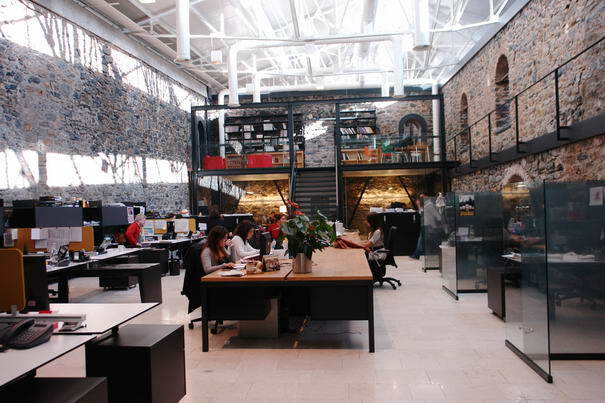 The result is this beautiful office space in a restored and converted stone salt barn. The design incorporates contemporary wood and glass elements, an open plan layout with mezzanine floors, along with the original historical stone architecture. 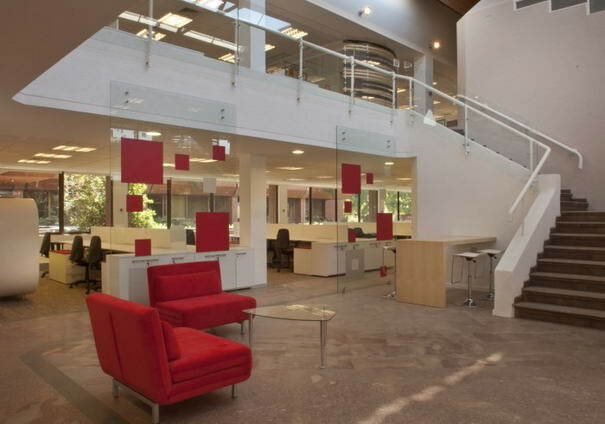 BASF’s corporate headquarters in Santiago de Chile city, occupies two open floors of 1400 m2 each. 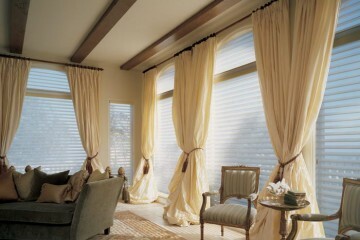 The project concept and the interior design were solved by Contract Chile. They used the concept of Open Space in all operative areas. For the managers positions they build Closed Offices adjacent to each operating open sector that promotes the communication and the transparency in the whole space. 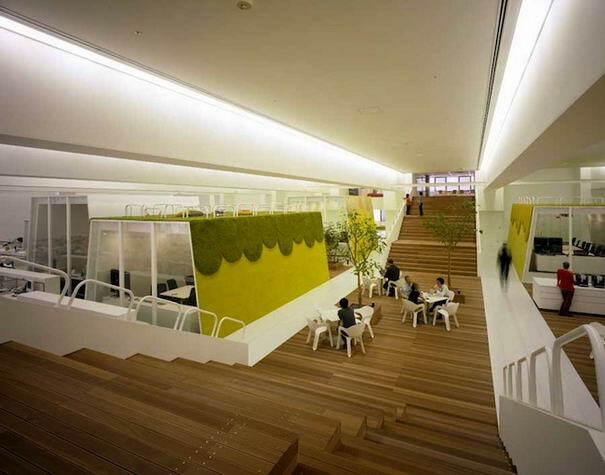 The TBWA workspace reflects the traditional-yet-sophisticated touch of Japanese wooden art. This beautiful workspace came into existence through a three-way collaboration of TBWA with Hakuhodo, a Japanese ad major, and Klein Dytham, an architecture company. The workspace has won awards for its design, which is inspired from an old bowling alley. 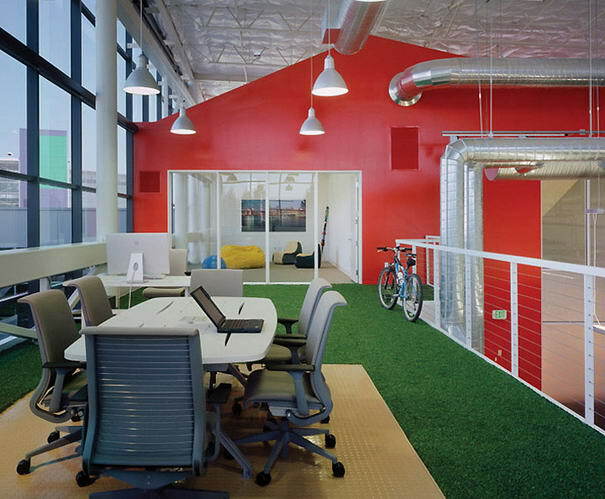 There is a lawn with lush green grass and an adjacent open space with offices, project spaces, and meeting rooms.